The upcoming Galaxy Note 3: What to expect? Despite some reservations about its size, the Galaxy Note and Galaxy Note II have been fantastic sellers, and have put their manufacturer, Samsung, at the forefront of smartphone technology. Marketed as a cross between a smartphone and a tablet computer, the two versions of the Galaxy Note have been popular with the public and industry experts alike. So it will not come as a major surprise to discover that Samsung are gearing themselves up to the launch of the Galaxy Note III. The Samsung Galaxy Note is famed for its large screen, and despite rumours of it coming with a 6.3 inch screen, the prevailing theory is that the screen size is going to be around the 5.7 inch mark, plus there are solid rumours about the screen having a full HD display. 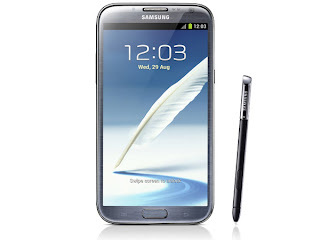 Also, you can expect the Samsung S-Pen to still be a main feature of the phone, or “phablet” as it has become known. Will Galaxy Note preserve its look? Speaking of the screen, you can expect there to be 3GB of RAM, and an 8-core chipset, matching the Samsung Galaxy 4. Storage options are likely to come in 16GB and 32GB with the option to extend this up to 64GB by installing a micro SD card. The 3GB of RAM is more than enough to run the latest version of the Android 4.2 Jellybean operating system, although it will come as no surprise if the Note 3 comes with the 4.3 version when the phone is launched. There are rumours that Samsung intends to change the way they build their phones, so that means going away with the plastic outer casing and replacing it with aluminium, although this could make the phone considerably heavier. Still, nothing is certain and it is a case of waiting to see the phone for real when it is launched in September. As for the camera, it is expected that the Galaxy Note III will come with the same 13 megapixel camera that comes as standard with the Galaxy S4, and we could even see some kind of optical image stabilization software included. Battery life is important with any smartphone, and especially with a phone having a screen as large as the Galaxy Note III. The Galaxy S4 came with a 2,600mAh battery, whilst it is rumoured that the Galaxy Note III will come with a much larger 3,450mAh battery. Therefore, owners of the new Note 3 can expect a much better and longer battery life than those people who own the Galaxy S4. Not much time left till we see the real Galaxy Note III, and let’s hope Samsung will surprise us this time. Tiffany Trepanier is a full-time blogger and writer who can't wait to get her hands on new Samsung gadgets as well as new apps and new cooking recepies.